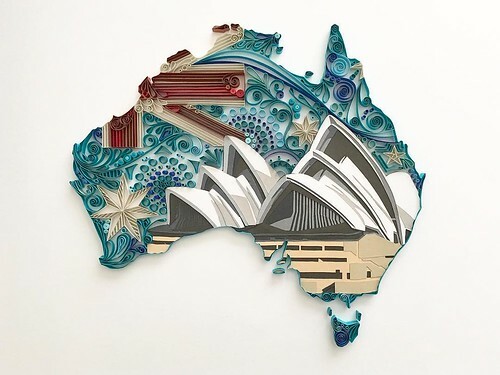 An artistic friend in Oz sent me the link to Akiko Makihara's quilled map of Australia that was posted on Instagram (@sunandmoonkid). I was so glad to be introduced to Akiko's unique work! 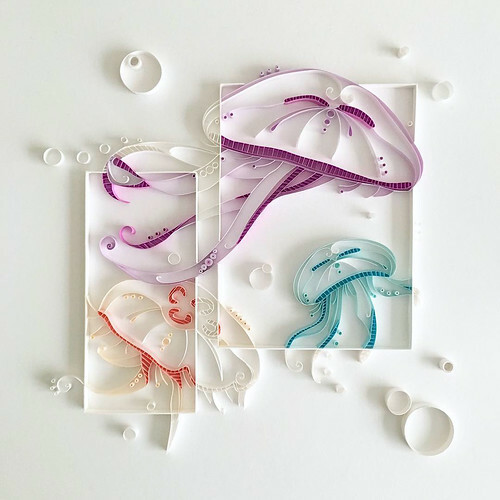 While she quills in the illustrative style made popular by Yulia Brodskaya, Sabeena Karnik, and Sena Runa, Akiko adds a distinctive touch by incorporating layered, cut paper elements into her designs. I wanted to learn more about what makes Akiko tick as a creative, so wrote to ask if she would like to be interviewed... I know you'll enjoy getting to know her. I'm Japanese and live in Los Angeles, California. I'm self-taught, struggling to find my own style. I love traveling, taking photos, movies, and reading. I'm hoping to go on a photoshoot trip around the world in the near future. 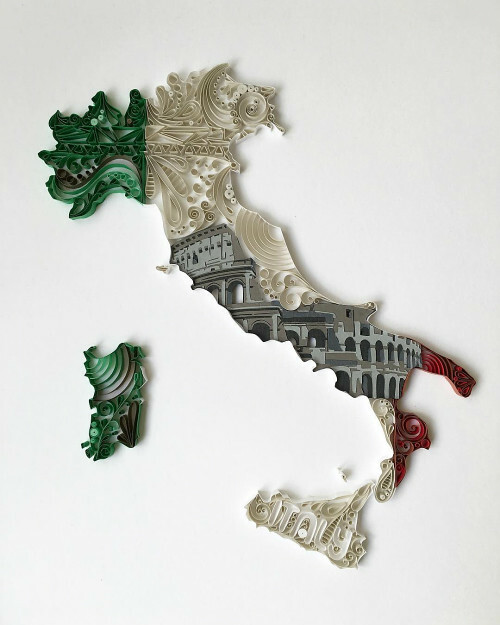 What launched your interest in quilling and how long have you been doing it and paper art, in general? I was looking for something new to do as a hobby, so I went to a bookstore to check out the Crafts and Hobbies section. I found some books about quilling that attracted my interest. I went back home and did some research online, then came across Yulia Brodskaya's artwork. I was mesmerized by every single piece of her art and admired her instantly. That was a year and a half ago, but when I got really addicted to quilling was about ten months ago. Quilling is my first paper art. 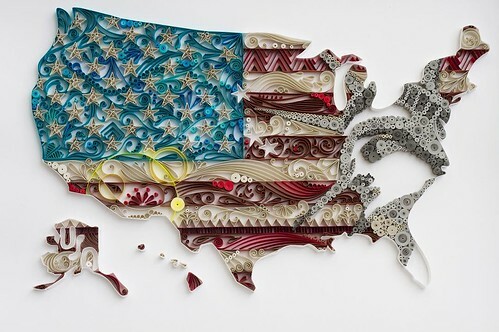 Not only is your work perfectly precise, but I love the way you sometimes insert a surprise into the design... the Statue of Liberty in your USA piece, for example. Do you have formal training in the arts? No. The one thing I always regret is that I didn't/couldn't go to art school. 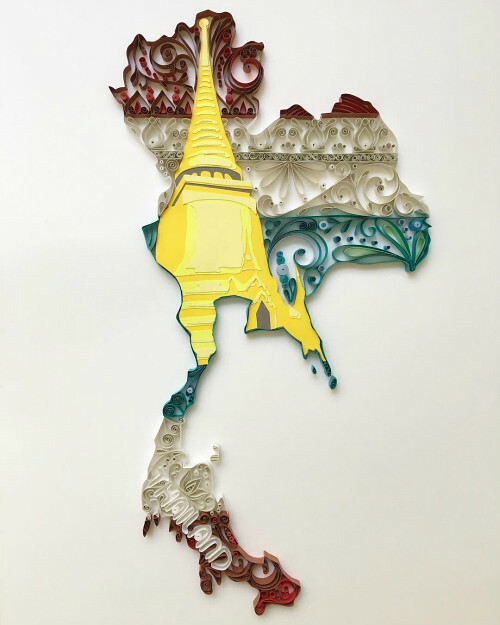 I admire the way you often include both paper cutting and quilling in your designs, particularly your nation series. 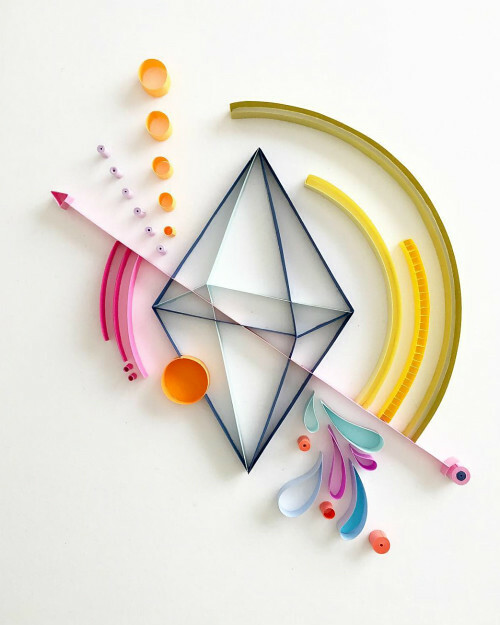 Which did you learn to do first - quilling or paper cutting? Thank you! I started quilling first. When I did paper cutting for the first time, it was kind of a compromise. 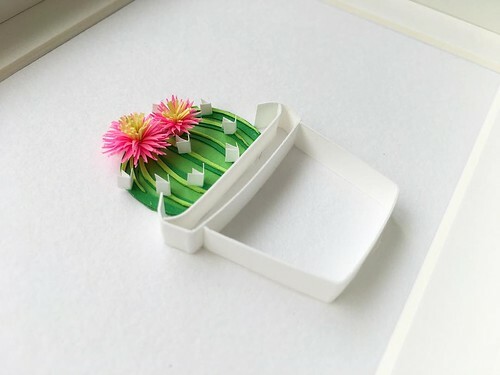 I used paper cutting because I wasn't able to make it with quilling... however, it was fun to make paper cutting and I liked it so much, I decided to mix the two. How do you decide what you will create next? I always have some ideas. After creating an intricate piece, I need to go with simple one to relax and get ready for another intricate work. 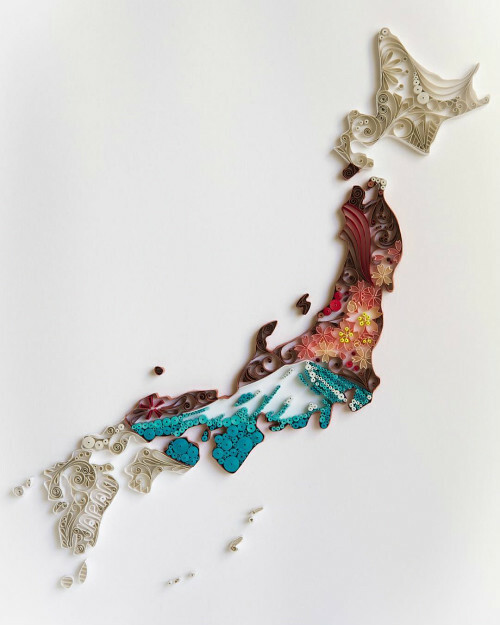 What do you especially like about the process of creating paper art? Probably gluing the last piece on a base/canvas and taking a look at the work from every angle. What are your favorite tools and types of paper? Thank you, Akiko. I look forward to seeing future work on your Instagram feed. Her work is awesome and I love that she has added something different creating her own style, such a hard thing to do nowadays. What amazing work! This brought a bright spot to my day. I'm so glad you all enjoyed the post, thanks for commenting! Great work! Very inspiring to try some thing new and create our own unique style! !